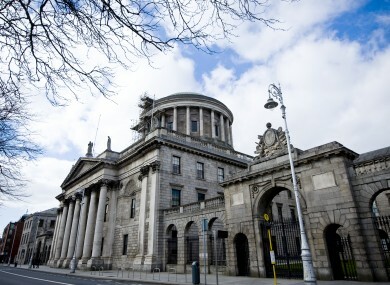 The Irish Medical Organisation had a plan to withdraw GP services to protest Government cuts – but the Competition Authority is going to the High Court to stop it. THE COMPETITION AUTHORITY has started legal proceedings against the Irish Medical Organisation over its plan to withdraw some GP services to protest Government cuts. In a statement this afternoon, the Competition Authority said the IMO’s decision to pull its services from Primary Care Centres is prohibited under both Irish and EU competition law. The statutory body had given the IMO until 12 noon yesterday to remove a press release from its website which outlined its plans to stop working in Primary Care Teams around the country. The IMO had asked for an extension of the deadline until Wednesday morning so it could consider what to do – but then sent a letter from its solicitors to the Competition Authority after the deadline past stating that the IMO would not be complying with the request. The press release in question is still on the IMO website as of 3pm today. The Competition Authority says it has filed papers in the High Court looking for a declaration that the IMO’s plan is void and an interlocutory injunction requiring the IMO to retract and rescind its decision. The papers also seek to stop the IMO from trying a similar plan in the future. The hearing of the application is expected to take place within the next seven days. The Irish Medical Organisation says its members will withdraw from the Primary Care Teams, which are funded by the Government, because of plans to cut fees and allowances to GPs. Email “Competition Authority starts legal action against doctors”. Feedback on “Competition Authority starts legal action against doctors”.